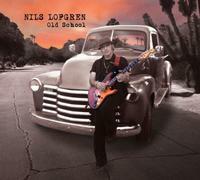 Nils Lofgren's Old School is a classic Nils rock album. It features 11 originals by Nils and "Irish Angel," a beautiful ballad written by Bruce McCabe. "Let Her Get Away" is a haunting acoustic gem co-written with Root Boy Slim. Featuring rough, raw blues dobros and searing electric guitars to beautiful acoustic tracks, Old School is classic Nils at his diverse best. Featuring the legendary Paul Rodgers, Lou Gramm and Sam Moore as guest vocalists, this album has it all and ranks among his best.